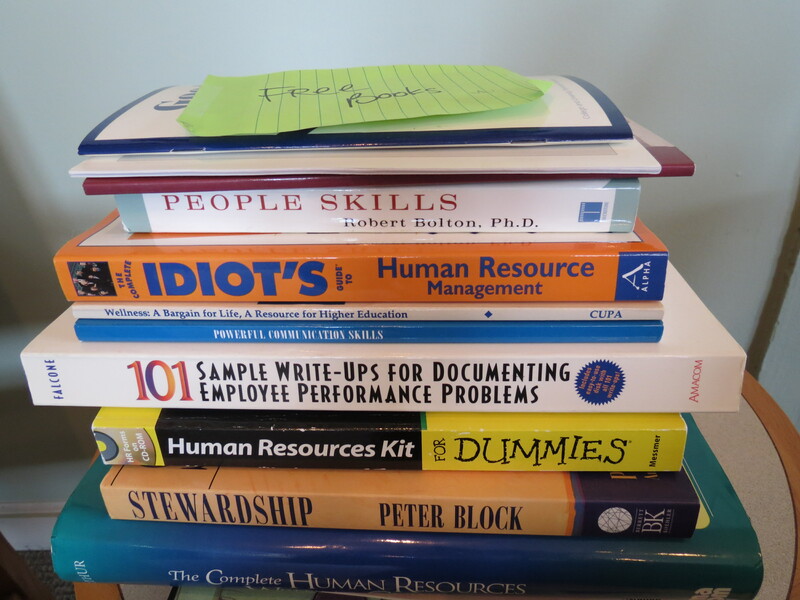 Human resources cleaned out their office and left free books for the taking, inadvertently revealing their game plans for dealing with employees. Ok, so that is really funny, in a bit of a sad way. Ha Ha Ha Ha – I love your choice for the week!! Love Peter Block! Maybe they are just sharing some books they love that they thought others might enjoy.